A meeting was held 10/23/15 at UC Berkeley to launch the P2SL Construction Safety Initiative. Click here to read the minutes of the P2SL Construction Safety Research Group Formation Meeting. P2SL Initiatives are supported by research groups with companies that agree to participate in doing the research and to share its cost: $80,000/year—enough to fund a graduate student researcher, to pay expenses of the research, and to contribute to P2SL overhead. 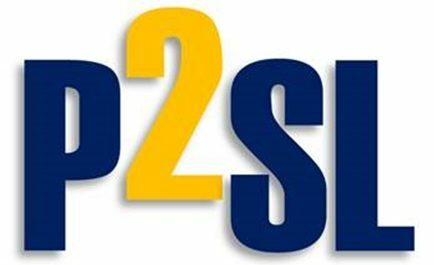 Research groups are formed by P2SL member companies, but funding can be divided among an indefinite number of companies, including non-members. The Safety Initiative is proposed to extend from January 1, 2016 through December 31, 2018, with Group meetings every 4th month during that time. There is evidence that projects managed on a Lean basis are safer than those managed with traditional practices—and we don’t know why. Last year, 828 workers were killed on construction projects in the United States. This is roughly the number who would have died last year had there been three Malaysian airliner crashes. The number of workers killed each year varies a little, perhaps a reflection on the number of workers employed. Some facts; 20% of all industrial deaths occur on construction projects. A construction worker has a 1 in 200 chance of being killed during their career. According to OSHA, falls, electrocution, and being struck by or caught between objects account for the vast majority of these deaths. This tragedy happens every year despite safety programs, OSHA inspections and training, stand-downs, posters and project safety officers. This research proposal moves beyond motivation and training to find a different perspective, a new approach that increases productivity and reduces accidents. The principles and practices of Lean Construction changed how projects are designed and managed. This way of managing projects developed in the conversation between those in the real world and academics. The resulting new ideas and theories changed the paradigm for how projects are managed. We believe improving safety will require a similar shift, a new perspective, a different understanding of how and why accidents occur. Is it true that construction projects managed on a Lean basis are safer than those managed with traditional practices? Which particular actions, practices or perspectives produce this improvement? Could it be that Lean projects are safer because the wherewithal necessary for work is better organized and available? Does designing the project production system and organizing supply reduce the necessity of workers adopting a “Can Do” approach? (Is MacGyver an appropriate role model for construction workers?) Can an explicit focus on safety during the design of production system reduce risk? How might developments in complexity science contribute to safer projects? For a surprise, consider the TED Talk by Sugata Mitra on “Self Organized Learning.” This video suggests a different way to understand and improve collaborative initiatives. Might we use the “Anecdote approach” to develop deeper understanding about the sources of danger and the causes of accidents? What can we learn from the science of Complexity, particularly the efforts of David Snowden at “The Cognitive Edge. Consider their recent podcast on safety: Cynefin webinar-innovations-in-safety/ .